I tried to send this potted version of our year out on email but some of them failed so I’ve published here with a few more photos on it. Firstly apologies that I didn’t do a newsletter last year. We had made our way up the Eastern Australian coast and reached Darwin by July. While there, as many of you know, I flew back to the UK because Mum was taken very ill. Even though she seemed to be recovering, allowing me to return to Australia, she died in August. Unfortunately as we had just entered Indonesia on single entry visas, it would have been very difficult to leave the country so Bill and I had our own little service on a beautiful island at the same time as the funeral in the UK; one of the downsides of cruising. After continuing up through Indonesia and into Malaysia, where we put Camomile up on the hard for 3 months, we returned to the UK for the internment of Mum’s ashes and to sort out her bungalow with my sisters. We had a nice time back in the UK. 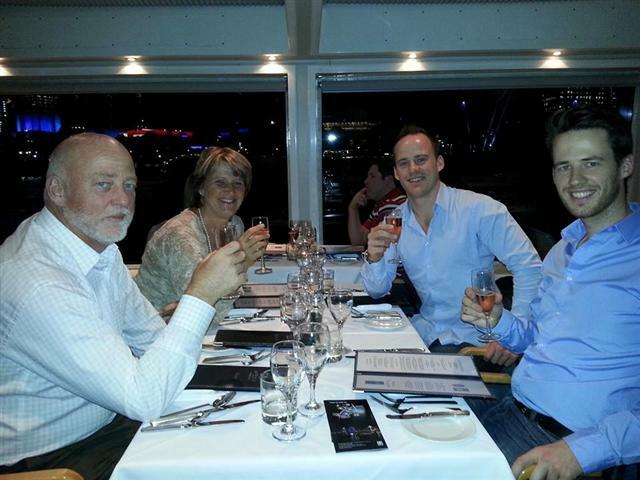 We also celebrated James’s 30th birthday (can’t believe my oldest baby is 30!) and spent Christmas with James in Scotland with Thomas and Sonal joining us there. The boys cooked a delicious Christmas lunch between them. Returning back to Camomile on 2nd January Bill spent a week doing the usual out of the water jobs before having her re-launched on 7th January just in time for James to arrive. Having left the RAF at the end of 2013 James took a year off to go travelling starting with visiting us while he got over his jetlag and deciding where he wanted to go. We all left Camomile on 19th January, James went to Vietnam, Bill and I to Laos and Cambodia. We had a fantastic time visiting Vientiane, capital of Laos, then onto Vang Viang and the old capital of Louang Phabang where we enjoyed visiting the beautiful temples. 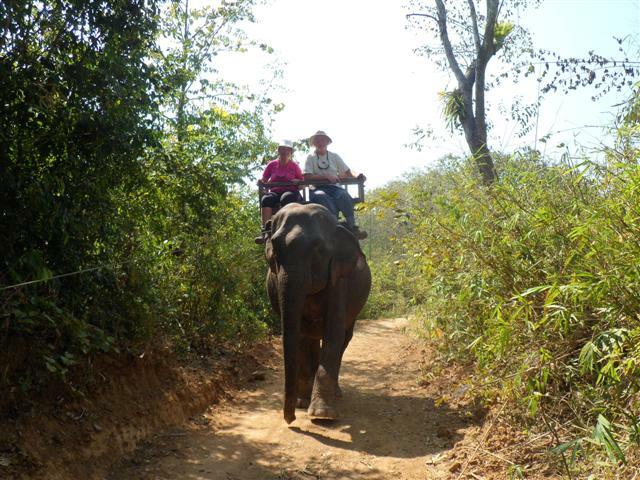 While there we took part in a long arduous trek to an elephant camp where I was richly rewarded with a ride on an elephant, something I’ve always wanted to do. 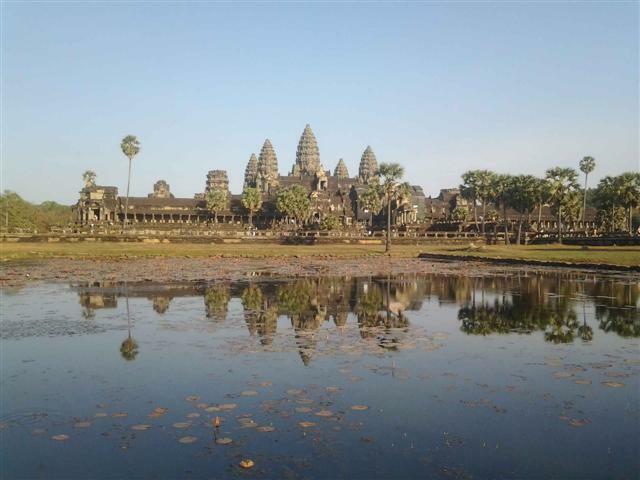 Phnom Penh in Cambodia didn’t quite reach our expectations but our final destination was the Cambodian ancient temples of Angkor with Angkor Wat, where we met up with James again, turning out to be the highlight of our trip. After returning to the boat 9th February to complete a few more boat jobs we set sail a week later and headed north. Most of March was spent in Thailand where we had 2 visitors. Firstly James arrived again for 3 weeks. The first 2 weeks spent on the western coast of Phuket and out to the Similian and Surin islands which were wonderful. That was followed by a week visiting the ‘hongs’, hollowed out rocks in Phang Nga bay, where Bill’s stepsister Zoë also joined us for 4 days as part of her 6 week stay in Thailand. It was great getting to know her. 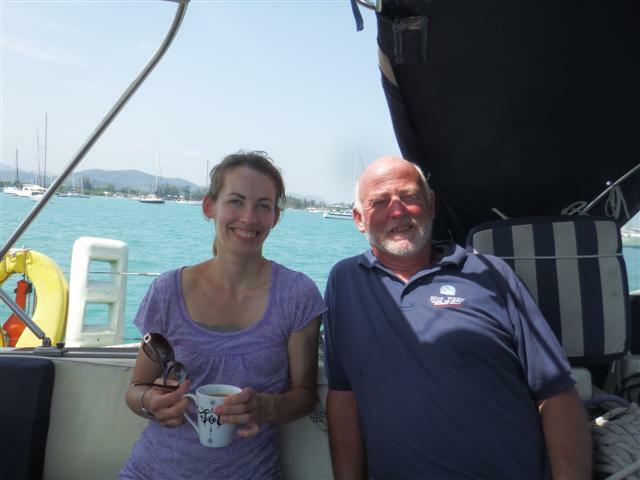 April was spent cruising south back down the western coast of Malaysia on the Sail Malaysia East rally to Johor Bahru in time for my sister Angela to arrive on 27th April for a 2 week holiday. Unfortunately shortly before she arrived we were struck by lightening. Luckily it wasn’t a direct hit but it was close enough to take out most of the navigation equipment, both VHF and SSB radios, battery management system, the fridge, the alternator, TV, music radio, the list kept building over the first few days. My poor sister arrived to a very sick boat but hopefully she still had a nice time. We all went to Singapore for a few days to celebrate my birthday as well as limping out to see a couple of islands to give her a taste of the cruising life. Once she had gone Bill set about restoring Camomile with the help of a Singapore supplier and our insurance company, miraculously we were up and running in 7 weeks and finally able to leave JB on 16th June to catch up with the rally and continue on our travels. Top Sail on behalf of RSA settled our claim in full. 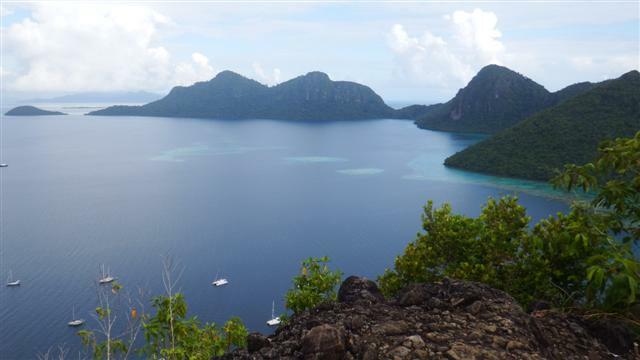 July and August were spent on the Sabah coastline of Malaysian Borneo. Our week in the most excellent Kinabatangan River being the highlight. We saw lots of Proboscis monkeys, macaque monkeys and dozens of varieties of birds but our sighting of a Pygmy elephant on his own and later a small herd was the pinnacle of the trip. Pygmy elephants are only about 4 inches shorter than normal elephants but with the removal of a lot of their natural rainforest habitat, sightings of them have become rare so we considered ourselves fortunate. At the end of August we headed south into Indonesia crossing the equator back into the southern hemisphere again. 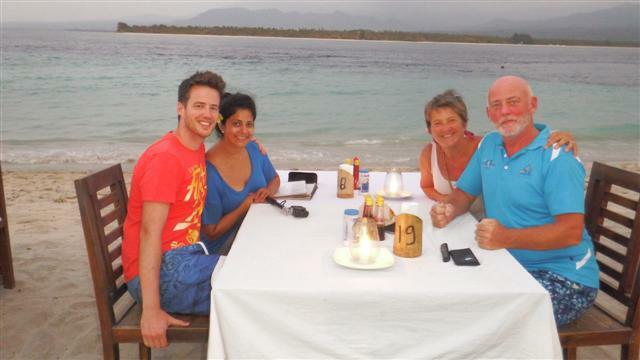 It took us 5 days to sail to Lombok arriving in time for our 36th wedding anniversary on 2nd September. 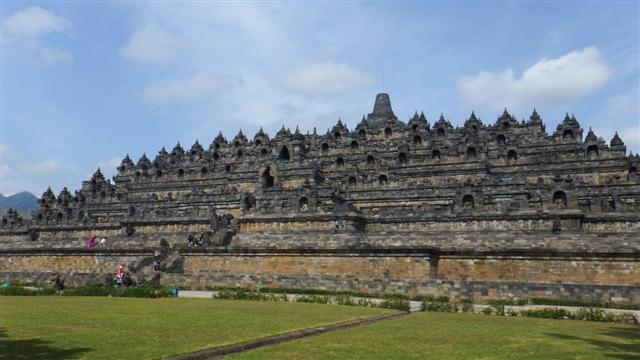 While Camomile was safely tucked up in Medana bay marina we took the opportunity to fly to Yogyakarta for a 4 day to visit Prambanana, the biggest Hindu temple in Indonesia, and Borobudur, the biggest Buddhist stupa in the world, along with a selection of other sights. It was all pretty spectacular. We returned to Camomile to welcome our youngest son Thomas and lovely girlfriend Sonal onto Camomile, their first visit since we left the UK. We had a wonderful time with them visiting the waterfalls of the Rinjani volcano and the Gili islands among other things. They were with us for 8 wonderful days before heading to Bali and onto Singapore before flying home. It was the highlight of the year for us. 1st October we arrived at the Karimanjava islands which are north of the island of Java in Indonesia, while there we found some of the best snorkelling of our trip, almost as good as Fiji. Continuing to the island of Belitung to the beaches of Tanjung Kelayang, which we both decided was the best beach of the year. It was also the last beach for this year because on 13th October we checked out of Indonesia and headed back across the equator again and onto Johor Bahru at the bottom of the Malaysia peninsular arriving back at Puteri marina on 17th October to check back into Malaysia for the rest of the year. We were sad to leave Indonesia having spent 2 summers there and discovered such nice friendly people. After spending a couple of weeks doing boat jobs (the list never seems to go down, as fast as jobs come off one end, more jobs get added on the other end!) we headed on ‘holiday’ to Vietnam for a couple of weeks. Vietnam was wonderful and worth the trip. We visited the capital of Hanoi, madness, took the train to Lao Cai to visit the hill tribes of the Hamong people and do some trekking, back to Hanoi on the train. 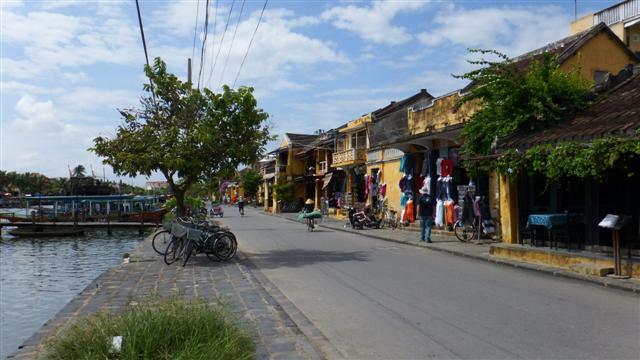 Flew to Nadang to visit beautiful Hoi An, which was our favourite, and the enigmatic Cham ruins of My Son, practically destroyed by the American airforce during the war. Then finally flew to Hoi Chin Minh city even madder but with a certain amount of charm where, among other things, we visited the evocative and haunting War Remnants museum. It was very sobering and told a totally different side of the war story. Although some of it was propaganda the photos were not fakes and left us emotionally drained for the rest of the day. We finished our tour with a visit to the Cu Chi tunnels, which was also very thought provoking. 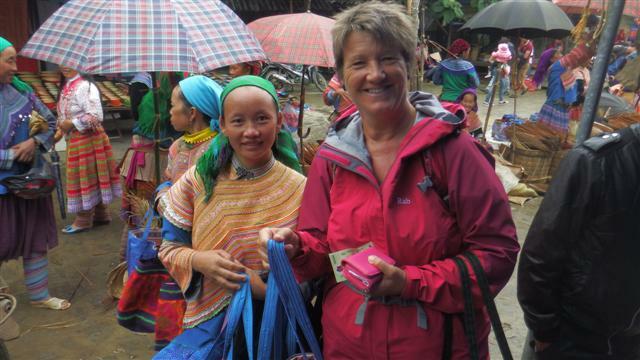 We loved Vietnam and the Vietnamese people; they are spirited survivors. 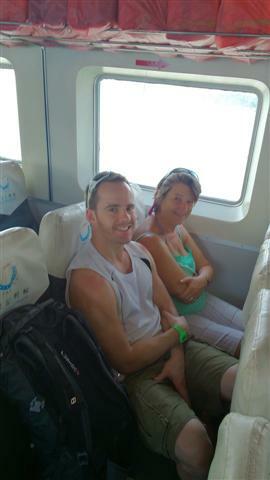 On the 12th November we returned to Camomile to start our journey up the west Malaysian coast. At Pangkor marina, where we had left them last year, our good sailing friends Norman and Sara were waiting for us on Norsa to sail north with us for the next 3 or 4 months. 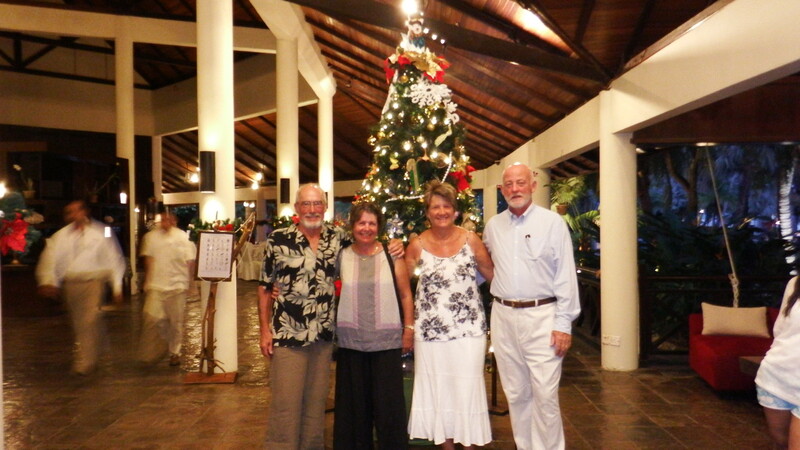 We are all spending Christmas together at Rebak marina off the island of Langkawi, which is on the Malaysian/Thailand border. A real yachtie paradise because we can use the 5 star resort facilities, including their beautiful pool. The plan next year is to spend January in Thailand before heading back to Rebak beginning of February for a month up on the hard where Camomile is going to have a new prop shaft, rudder bearings and cutlass bearing and the GRP on her hull is going to be thoroughly cut back and polished and new cove and boot line and the transom painted. The old treadmaster deck is going to be removed (a lot of it has disappeared already) and the coach roof will also be cut and polished. 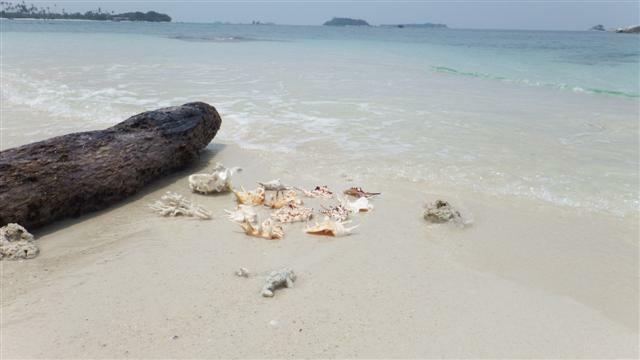 We will then go back in the water and move down to Pangkor where Joe is going to paint the decks with 2 pack paint and Bill will replace all the woodwork. We’ve also got a new Mainsail and sail bag on order so she will look thoroughly beautiful after all that. Meanwhile I’m going back to the UK for 3 or 4 weeks in March to visit my niece’s new baby due in February and for my sister’s wedding. Hopefully Camomile will be out of cosmetic surgery by end of April in time for us to cruise the Sarawak and Sabah coast of Malaysian Borneo again as we missed a lot of it last year. The Philippines is planned for June before heading back down to Sabah. Depending on the weather we would like to get over to the eastern Thailand coast in August and our ‘holiday’ next year is hopefully going to be Hong Kong and China for the first 2 weeks in September. We’ll probably eventually end up back in Western Thailand at the end of the year ready to head across the Indian Ocean in 2016 but plans on a yacht are always set in jelly so any of this could change. I started this newsletter on a sad note so I want to end it on a happy one and wish everyone a Happy Christmas and a wonderful and healthy New Year wherever you may be. Posted on December 20, 2014, in Circumnavigation, Port posts, sailing adventure. Bookmark the permalink. 1 Comment.